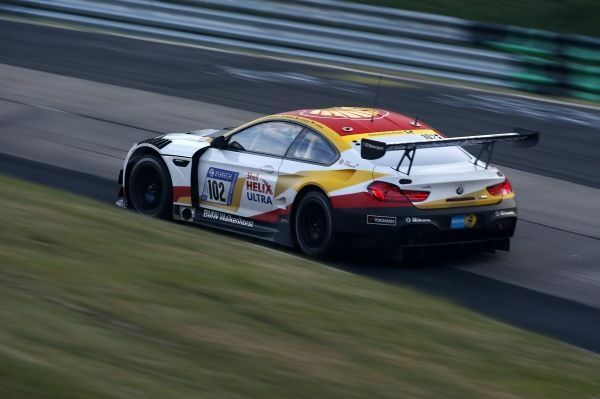 – 13th place for the Shell Helix BMW M6 GT3. 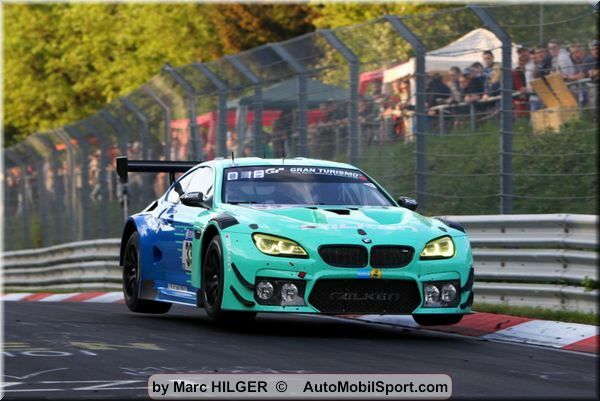 Augusto Farfus (BRA), Markus Palttala (FIN), Christian Krognes (NOR) and Fabian Schiller (GER) in the #102 Shell Helix BMW M6 GT3 finished 13th overall at the Nürburgring 24 Hours (GER), making them the best-placed BMW representative. The quartet lost time in the opening stages, following a minor collision, but then progressed without any major issues for the rest of the race. In unsettled weather conditions and after many incidents, only two of the four BMW M6 GT3s that started in the SP9 class actually finished the race. The race was suspended with 3:30 hours remaining and was eventually restarted after a break of about two hours. Victory went to the #912 Porsche. Private BMW teams claimed three victories in the remaining classes. As a consequence of a damaged radiator following a minor collision, the engine was damaged to such a degree that the car could not continue. The #98 car, with Nick Catsburg (NED), John Edwards (USA), Richard Westbrook (GBR) and Tom Blomqvist (GBR) at the wheel, led the race several times early on, but was then handed a time penalty that saw them drop back through the field. They then encountered issues with the electric drive by wire system in the night, which cost them any chances of a good position and led them to retire. Victory in the fiercely-competitive BMW M235i Racing Cup class, in which 15 cars were involved, went to Heiko Eichenberg, Yannick Mettler (both GER), Torsten Kratz (AUT) and Tristan Viidas (EST) of the Securtal Sorg Rennsport team. They finished ahead of the Hofor Racing powered by Bonk Motorsport and Pixum Team Adrenalin Motorsport cars in second and third place. 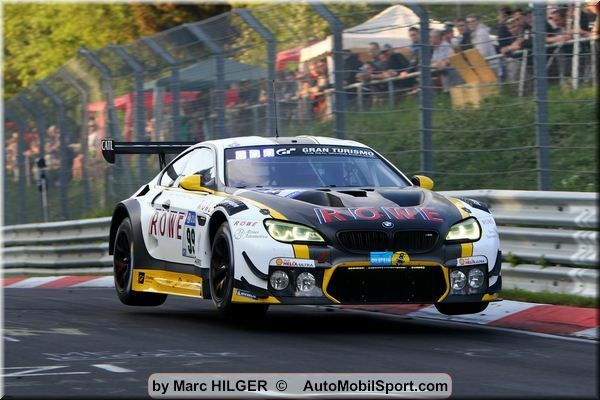 BMW customer teams celebrated a further two victories in the V4 and SP4 classes. “Unfortunately, that was not the 24-hour race we had hoped for. We were right up there with the leading group in terms of pace, and had the fastest car in the field at times. That makes it all the more disappointing that incidents and technical difficulties prevented us from being involved in the battle for the top positions in the overall standings. That is bitter for everyone who worked so hard during the preparations and in the race. 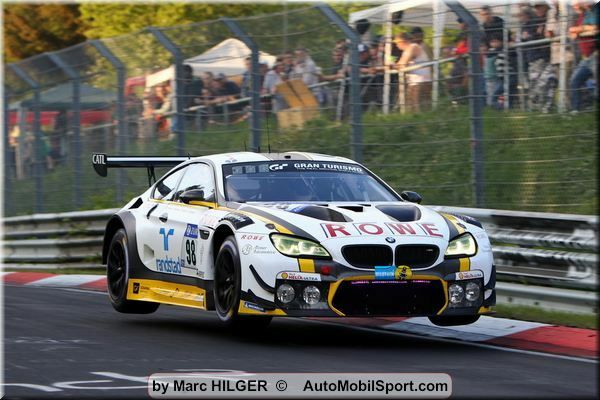 In the end, the #102 BMW M6 GT3 was the best-placed BMW in 13th place. The BMW teams fought superbly in the other classes and claimed three victories. “A retirement at a 24-hour race is always disappointing, but it is particularly painful when you would have been in with a chance of winning – and we were in with a chance. “I was the third car in a chain at the start of a Code 60 zone. The first car braked very early, which resulted in collisions behind it. I drove into the rear of the Audi in front of me and damaged the radiator on my car. “It is obviously very frustrating that we had technical issues, but it was still nice to cross the finish line with the BMW M4 GT4. On the whole, it was a fantastic experience. I was able to drive at the start of my home race. Seeing all the fans along the track during the warm-up lap almost brought a tear to my eye. “I am very grateful that BMW made this fantastic experience possible. It was my first 24-hour race and my long stint in the night, in particular, was really crazy. It is very dark out there, but it is still great fun.